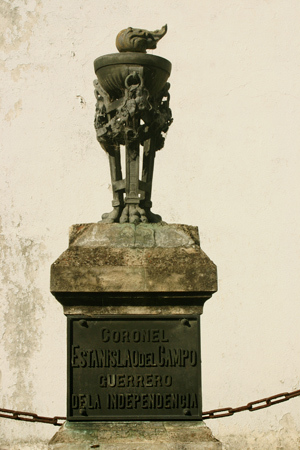 Online biographical information about this career soldier is unfortunately sparse, but after the independence wars Juan Estanislao del Campo allied with Lavalle against Rosas. Fighting in several battles, he was one of the few to accompany Lavalle on the flight through northern Argentina. 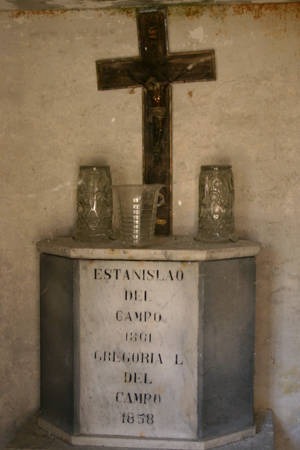 The son of Estanislao del Campo & his wife, Gregoria Luna, became a recognized gauchesco writer, most known for a hilarious farce titled “Fausto.” Coronel Estanislao del Campo passed away in 1861, & this tomb was declared a National Historic Monument in 1946. I wonder if you might be able to offer me a little help and advice as regards a specific “resident” of Recoleta Cemetery please………. 1) I don’t know precisely where the General’s tomb is located and I can’t seem to find a detailed/numbered layout plan of the cemetery on the internet. 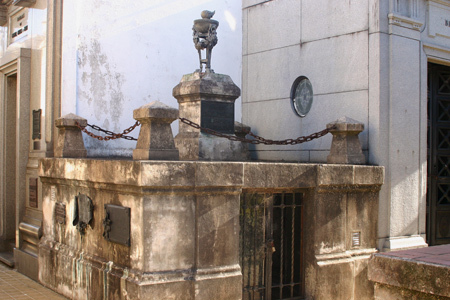 2) I would dearly love to find some images of the various faces of the General’s tomb (I have one b/w image but I can only just make out the family name and I would very much like to see the various panels and inscriptions around the tomb). 3) ……. (possibly the most awkward)….. I am in Lille in Northern France! Many thanks for anything you might be able to offer and very best regards. Gray – I answered you by email, so let me know if you don’t receive it. Saludos!